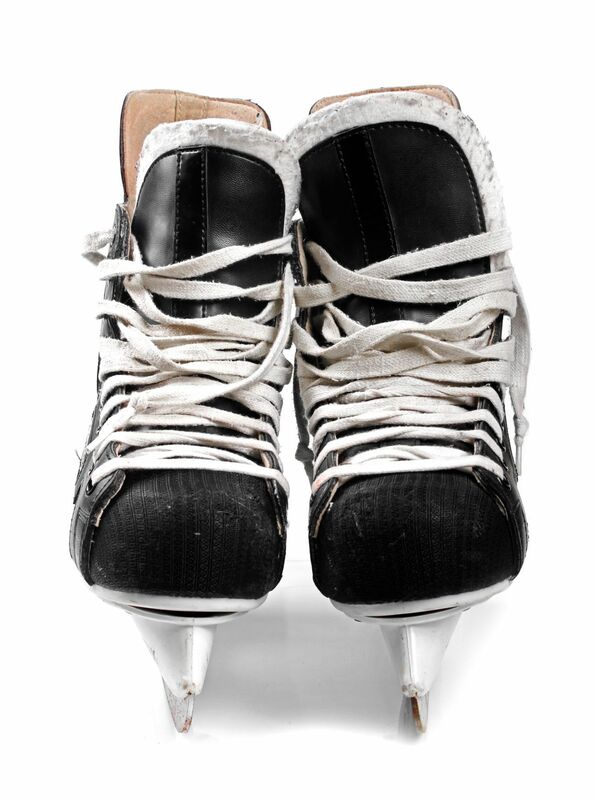 Don't let your hockey skates stink up your house!! Yep its that time of year! Blackhawks are on and the pros...Toews, Keith and of course Sharpie are on my TB almost nightly! BUT what that really means is my favorite guys...my two boys and Hubby are back at it as well! Not only does this mean spending almost every day from November to March at a hockey rink, but also smelly hockey bags and those disgusting hockey skates. They are breeding grounds!! A few years ago when we were building our house, my hubby walking into the bones of our now mudroom set down a hockey bag and said “Build it around this”. Well that not only meant HUGE shelves to house 3 very large bags, but also an exhaust fan for what we affectionately refer to as the ‘Hockey Funk’. I have found that even better for this funk is Clean Sweep Shoe Spray. Not just for the hockey skates but even for the bag. Clean Sweep is a silver based spray that reduces and eventually eliminates the bacteria and fungus that is causing the smell. It also helps prevent your favorite Hockey player from getting athlete’s foot or a fungal infection in their nails. I especially LOVE Clean Sweep because it isn’t chemical based and thus safe to use on my kids stuff and doesn’t deteriorate that expensive equipment. All of the skates get sprayed a few times weekly and it has virtually eliminated the smell. I also use it on the bags and the pads which really can’t hurt and helps a ton with the ‘Hockey Funk’. We sell Clean Sweep in the Welcome area of our office (that’s right we don’t have a waiting room because we pride ourselves in minimal wait times for our patients) and you don’t need an appointment to purchase it. So stop in today!